Emirates is bringing Christmas joy to the skies this December with a festive menu on select flights and nostalgic films on board. Customers travelling for the holidays in December will enjoy several specials across all cabin classes on board and on the ground. 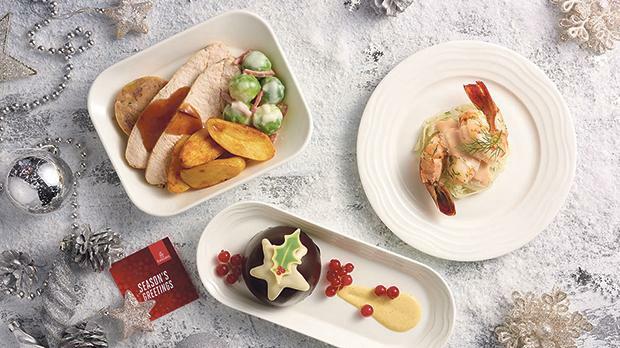 With an extensive offering of festive favourites available throughout December, Emirates’ popular Christmas-inspired menu will return for the third year in a row for those travelling from Dubai to select routes to Australia, New Zealand, the UK, Europe, the US and South Africa. Passengers in Economy Class will be able to indulge in a delicious turkey roll with mashed potato, pan- fried Vienna Chicken Sausage, green peas, baby carrots and cranberry jus lié prepared by Emirates’ award-winning chefs. For dessert, Emirates will serve milk chocolate mousse with cranberry compote topped with a reindeer chocolate button. Throughout the festive season, passengers will be able to take advantage of Emirates’ wide beverage selection to complement their Christmas meals on board. Travellers can enjoy some of the finest wines and champagnes served in the skies to complement their Christmas meals. In addition, Emirates has a refreshed spirits offering across all classes with range of whiskeys, cognacs, gins, vodka and flavoured liqueurs among others. The spirits offering includes a mix of niche, hand-crafted brands as well as popular and well-loved spirits such as Hennessy cognacs, including the exclusive Hennessy Paradis in First Class. In Economy Class, children will feel at home with a delicious turkey roll with trimmings, milk chocolate mousse served with cranberry compote topped with the reindeer chocolate button. 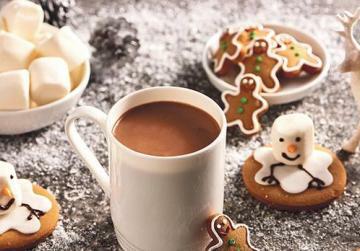 In First and Business Class, young travellers can enjoy turkey breast slices with roast potatoes, pan-fried smoked chicken sausage, green peas and cranberry jus lié with a chocolate Yule log garnished with meringue drops, chocolate stars and Gingerbread Man for dessert. Young flyers will also be able collect a limited Emirates Fly with Me Animal toy, with Bell the robin available on board for a limited time in December to offer children a travel companion. In addition, limited edition Polaroid photo card sleeves will be available on all flights for both kids and adults. Reaching a milestone offering of over 1,000 movie choices – more than any other airline, travellers can enjoy up to 3,500 channels and over 2,000 hours of on-demand inflight entertainment. Emirates’ ice aims to create a better-than-home experience this Christmas with the latest and best movies, great television and an extensive music selection for customers. All 42 Emirates lounges across the network, including the seven lounges in Dubai International Airport will be serving a range of traditional Christmas dishes including roasted turkey, roasted lamb leg with a rosemary jus sauce; and a wide selection of festive sweets like Christmas apple cinnamon cake, yule log cake and stolen cake, from December 15 to December 31 . In partnership with Voss, passengers in the Business Class lounge in Concourse B in Dubai can also enjoy specially infused Voss water with advice from a Voss nutritionist to keep customers feeling fresh while travelling. The drinks include Energy Fruit Infusion (Lemon & Mint), Relax Fruit Infusion (Kiwi & Cucumber) and Detox Fruit Infusion (Apple, Lemon & Basil). 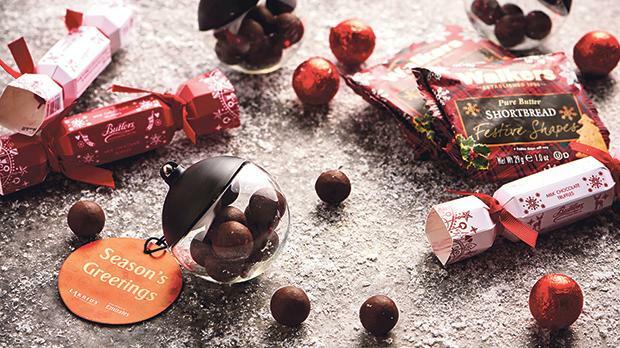 Last-minute Christmas shoppers can get gifts from the Emirates Official Store which has new Christmas-inspired products in the festive airline collection. These include Christmas pyjama sets, Emirates festive greeting cards, Christmas sweaters and holiday mugs. These are also available in stores and online at https://www.emirates.store/. Launched in November, Emirates’ new Duty Free magazine has been renamed Be and showcases an enhanced range of 45 new brands including Cartier, Hugo Boss, Ray-Ban, Pandora and Tommy Hilfiger for Christmas gifting options passengers can purchase on board. There will be a special $15 discount when customers buy any two fragrances.